Create 15 darling designs for the precious little ones in your life. 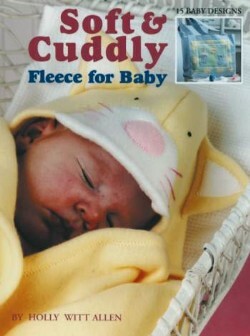 From bonnets and hats to totes, blankets, pillows, and more, each cuddly polar fleece project will soften baby's world. Complete with clear diagrams and easy-to-follow instructions. Leaflet - 24 pages by Leisure Arts.